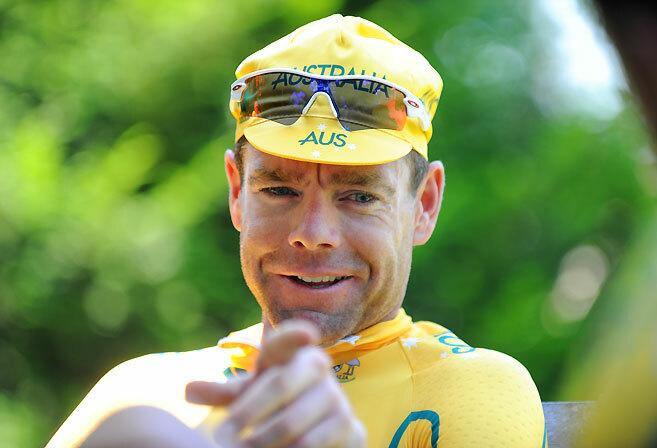 When it comes to cycling in Australia, there are few who have come close to having the career of Cadel Evans. Riders like Phil Anderson, Simon Gerrans, Michael Rogers, Robbie McEwen and Richie Porte in the current crop have had success, no one out of Australia has the accolades on the global stage that Evans does. 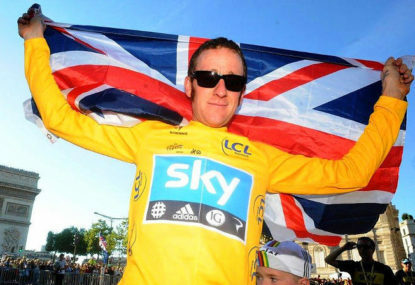 He finished his career as Australia’s only Tour de France winner. The time trial on that fateful night in 2011 where he mowed down Andy Schleck will forever be remembered as one of the proudest and fondest moments in Australian sport, whipping those who were brave enough to stay awake into the early hours of the morning into a frenzy. I can remember shouting at my TV screen, just praying after years of heartbreak that he was going to get the job done and break an Australian duck in one of sport’s biggest global events. Not only was Evans Australia’s only Tour de France winner though, he also finished his career as Australia’s only world champion to date, having won the gold medal around Mendrisio in 2009. Finishing his career as one of the nation’s best ever and having been given a parade ride around Melbourne after the 2011 Tour de France success, it was only fate that Evans would create his own race, right in his own backyard, one which would come to fruition and prove to be his final race before hanging up the cycling shoes for good. “Special would a nice word to sum it (retiring on home soil) all up really,” Evans told me. Regardless of where Evans finished in the race, the race now occupies a place on the global racing calendar. It is constantly looking to evolve with 16 of the 18 World Tour teams arriving in Victoria for the race this year, giving it the best field they have ever had, while also catering for more than just the professional peloton in what is a festival of cycling. “Of course we have been growing – we will have our best field in terms of the number of world tour teams and top riders will be confirming their race schedules next month, so we will have a better of idea of what riders will be coming to the race,” he said. “But most of all, I’m just proud that the race started off a high level and continues to grow and improve every year and of course I hope it’s the start of a long journey yet. “I like to think of our race as a modern classic. A modern classic in terms of the fact these races have been going for 80 years and of course have more history behind them, but there are new races which have come onto the calendar like ours and we’re certainly among that. Having 16 of 18 World Tour teams at the race next year will be a major boost for the event. 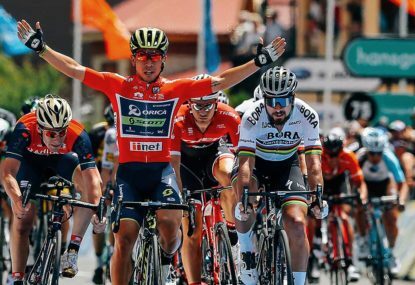 While it has never struggled to draw star power, the race itself has been growing year after year and it’ll be great for Aussie cycling to have big names in the country on the back of the announcement that Wollongong will host the World Championships in 2022. The Great Ocean Road Race only has the potential to improve the Tour Down Under as well, which may benefit from a slightly longer start to the season and more of a reason for riders to travel with the growing status of the one-day classic. Without a doubt, the Tour de France is cycling’s biggest event. It’s one Cadel struggled to breakthrough in, despite going in as one of the favourites on numerous occasions. A run of rotten luck, poor support from teammates and on one occasion, running out of gas in a time trial came back to bite Evans before he eventually got the job done in 2011. Evans described breaking through to win the Tour as a moment which made all the tough ones worth it, but also talked about the heartbreak of losing a Tour by the smallest of margins. “Winning the Tour de France was a huge relief,” said Evans, who had put his whole career into that result. “I’d been second on two occasions by less than a minute each time and, of course, in cycling, you win or your lose, and the difference is huge. 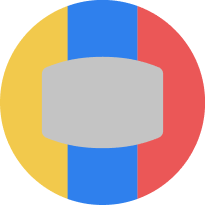 Outside of the Tour de France, being able to wear the rainbow stripes for an entire year is one of the greatest honours as a cyclist. Awarded to the man who wins the World Championships, Evans became the first Australian World Championships winner and said it was one of his proudest moments. “Becoming the World Champion and winning the Tour de France were the moments which defined my career,” said Evans. While Australia’s best ever cyclist said he was proud of his other achievements on the bike, the one which stood out to him the most was being able to win the two most prestigious events, becoming one of a very select group and the first since Greg Le Mond, more than two decades ago. 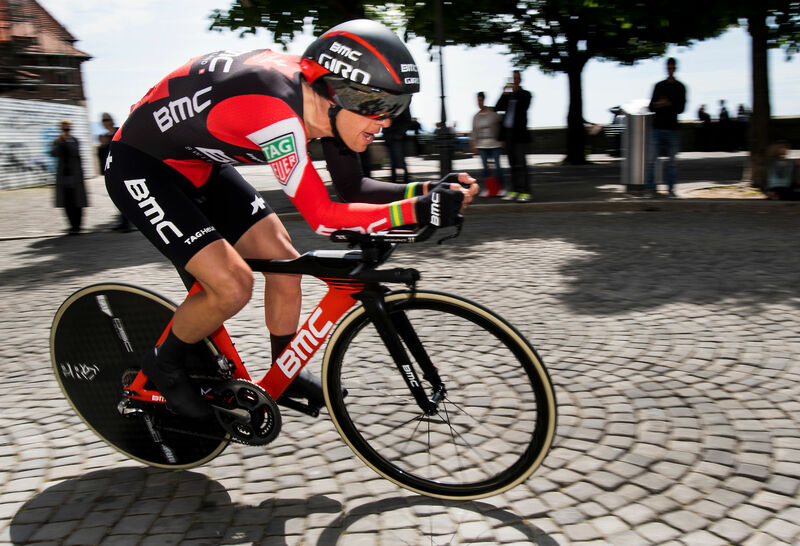 “I’m the first rider who won a World Championship and a Tour de France, since Greg Le Mond, and I’m most proud of that as well,” said the former BMC leader. As a former winner of the biggest race in cycling, Evans is well-placed to talk about the next Australian to win. Richie Porte’s career seems to be taking on a similar route to his own. A rotten run of bad luck, including a crash which broke his collarbone during last year’s race, and age is starting to catch up with the Tasmanian, as it did for Evans when he broke through as an older statesman of the peloton. But Evans says Porte still has another chance to get the job done and bring another yellow jersey back home. “Richie’s certainly got one more opportunity in 2019. 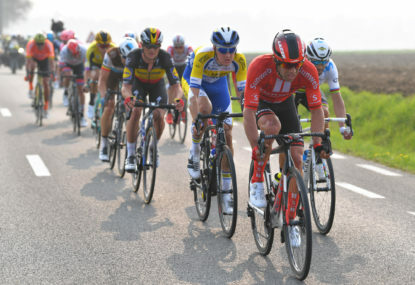 What tends to happen though is even if your body and mind is up to the task, unfortunately, the world of cycling starts to lose faith in you as you get a bit older and so, Richie is obviously the main man who could do something really special at the Tour,” Evans said. It’s always interesting to see which riders gain the most respect from other riders in the peloton. Cycling is a brutal sport at the best of times. Riding 200 kilometres per day over all sorts of terrain in all sorts of weather. Then there is the training, the crashes, the tactics, the mental and physical exhaustion. To excel in cycling on the highest level, it takes a special kind of athlete and a special kind of suffering and pain. Evans had a long career on the road, starting with his doors being blown off in the 2002 Giro d’Italia after he looked all but a certainty to win and finishing 13 years later in his won race. He had three names when asked who he had most respect for in the peloton. “Alberto Contador and Alejandro Valverde were the hardest competitors, the hardest riders to crack so to speak,” he said. And who can blame those answers? Contador was a freakish, almost once in a generation talent, Valverde is still going as something else and Vinokourov – well, if you could get so much of a smile out of him you were doing something a bit different. 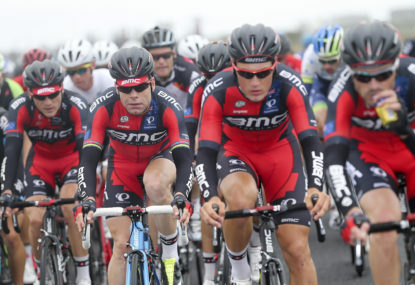 The Cadel Evans Great Ocean Race will return again in 2019, raced around Geelong, following a busy January of cycling in Australia which includes the National Championships, Bay Criterium series and the Tour down Under, raced in Adelaide the week prior to the one-day classic. 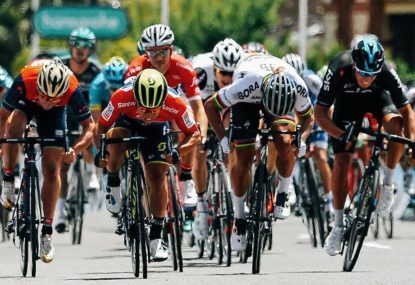 The Cadel Evans Great Ocean Road Race is a four-day international cycling event taking place from Thursday 24 January – Sunday 27 January. Spectators will have the chance to get up close to the world’s best teams and elite riders competing in the year’s first one-day UCI WorldTour Elite Men’s race and UCI sanctioned Elite Women’s race across the weekend. 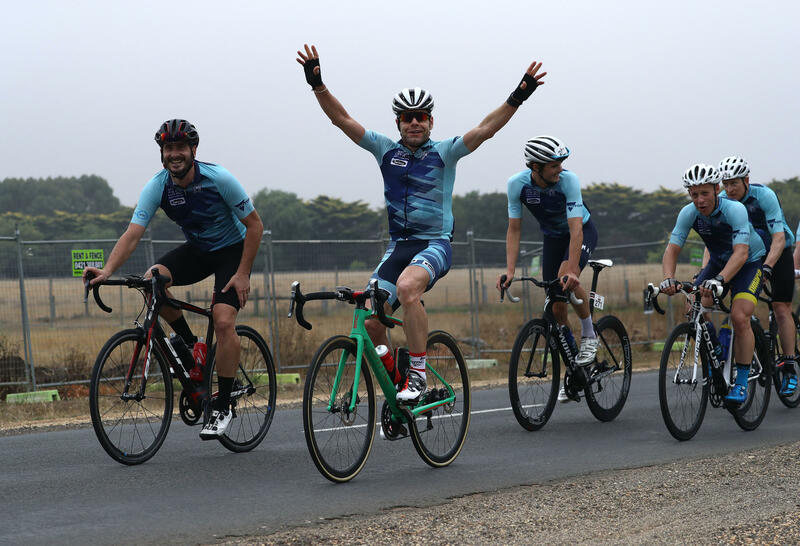 Keen cyclists can also participate and take part in either the Vegemite Family Ride or Swisse People’s Ride (35km, 65km and 115km options) as part of the event. Visit the official race website for more information and to register.